The MMFF Menage Story that Just Won't Quit! MR. RIGHT-NOW from Ellora's Cave! How about a bit of small town mayhem? JUST RIGHT from ELLORA'S CAVE! Here is a sneak preview of my upcoming novel, Book Three in THE CHRONICLES OF KASSOUK, my Sci-Fi fantasy romance series with Desert Breeze Publishing. The book is scheduled for release in November 2010. Kahuel of Yalta, nicknamed Black Jaguar like his emerald-eyes feline, volunteered to sail away on his brother's Galleon to get away from it all, redeem his roguish past, and prove his worth as a blood prince. When a typhoon hits, and he realizes the powerful Mutant who commandeered the expedition has ulterior motives, his world is turned upside down. Talina of the Chosen has never seen a foreigner, until destiny brings to her shores a group of baffling strangers who cannot read minds... among them a prince, and the Lost Daughter of the prophecy. She knows her fate is about to change, but the Star People protecting her clan view the outsiders as a threat to their crucial experiment. 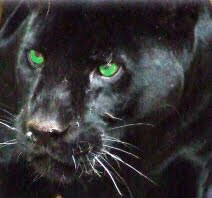 Can Black Jaguar, with his few warriors and felines, simple weapons and Human ingenuity, save Talina and her people from a horrible fate? Can he prevail upon a highly advanced enemy, against impossible odds? When the tall, dark man emerged from the thick vegetation, so close, Talina thought her heart would stop. He paused and frowned, staring at her with deep emerald eyes. Sitting on her favorite stump, Talina averted her gaze to the waterfall beyond him. "I called you here, Black Jaguar." "You speak our language?" His eyes rounded in surprise. He looked pleased... A light touch on his mind told her he was pleased to see her... and more. "How do you know my name?" "That's what your people call you, isn't it?" She didn't dare meet his striking green gaze. "Indeed." He strode closer, the scabbard on his hip clicking against high leather boots. He wore short blades on his belt as well. He came so close... he smelled of sea spray. Talina climbed off her stump and took a step back, keeping the stump between them. "I saw your people bring you the boar they killed." Black Jaguar grinned, revealing strong white teeth. "It's a great way to start the day, knowing that we won't starve." "Killing mammals for food is cruel and cowardly." Talina detected no shame in his mind. He was proud of what he was, and that scared her. "They have no defense against your metal blades." "Believe me, the boar had a fighting chance." Black Jaguar chuckled. "Have you seen his tusks?" Talina couldn't believe anyone could be so mean. "You should be ashamed of yourselves." "We have to eat, and meat is best for a warrior's strength." He straightened his spine, exulting pride. "We Zerkers are warriors." "Warriors?" Talina understood the word, but the implications were too odious to comprehend. "It's easier to fight on a full stomach." Black Jaguar exuded a lusty happiness. "Fight? Fight what? Fight whom?" All Talina believed to be good in this world would be trampled by a people who glorified fighting. Black Jaguar froze and frowned at her. "Why are you looking at me as if I'd killed your best friend?" "That boar was a friend." Talina choked on the words. "All the animals in this jungle are my friends." Anger clouded her mind. "Your people are truly evil, like my brother said, like the Star People said." "The Star People?" His eyes narrowed as if he struggled to understand. But he didn't understand. He couldn't read her mind. "I didn't want to believe them, but now I see why they want you and your people dead. You do not deserve to live." Black Jaguar's dark face hardened and his jaw clenched. "Only the Great Engineer decides who lives and who dies." On the frozen plains of Kassouk, where a few aliens rule a medieval Human world, Tora, Human warrior trained by tigers, seeks her father's murderer. But what she finds at the point of her sword confuses her. How dare Dragomir, the handsome Mutant, question her bloodline and her loyalties? And could a new enemy control the savage hordes of the fringe? In the vortex of war, treason and intrigue, among blizzards, avalanches and ambushes, will Tora solve the mystery of her father's death and unveil the secret of her birth? Can she and Dragomir escape persecutions long enough to save their planet from the invaders and fulfill their destiny? In charge of the Kassouk fortress in the king's absence, what is Terek to do when a Goddian spacecraft lands in his medieval backyard? The striking woman leading the galactic party is bent on finding a crystal with hyper-conductor properties, and the futile defiance of a tribal chief nicknamed Red Leopard, like the infernal feline that follows him everywhere isn't going to stop her. Terek must defend his people's freedom, but an old prophecy surfaces, carrying a new threat. When political intrigues, greed, murder and betrayal tip the scales, whom can Galya trust? Her fellow Goddians? The Mutants bred to serve her race? Or her primitive Human enemy?